Posts and articles on this site typically talk about streaming services and cheap/free cable TV. The site was started with services like Playstation Vue, Netflix, and Sling TV in mind, but every so often there’s a different cord cutting option that’s worth discussing. MoviePass is a way for you to watch way more than your money’s worth of newly released movies in the theater. Recently, MoviePass lowered their subscription significantly to $9.95 a month for unlimited movies with no contract (actually only $7 if you pay for the full year!) The only caveat is that not every theater participates in MoviePass. However, if you do have a local cinema that with honor your pass, you should definitely check it out. You can check to see which theaters support MoviePass by visiting their homepage. 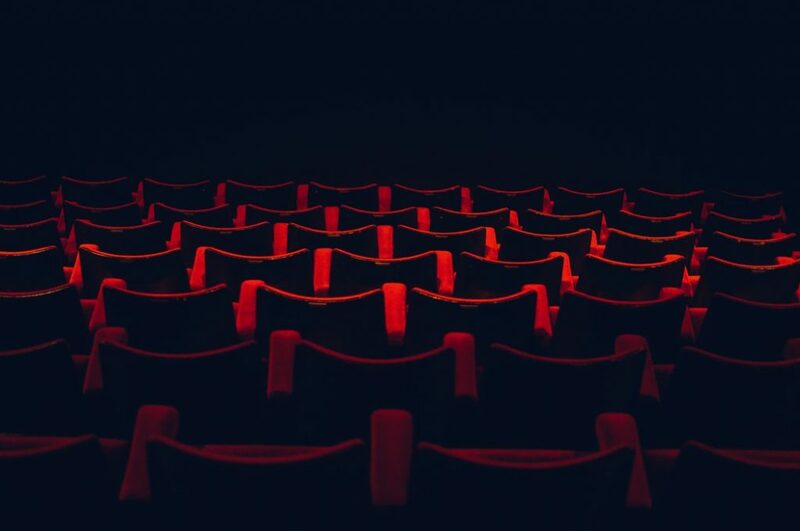 MoviePass is a service run by Netflix co-founder Mitch Lowe who is trying to take Netflix’s success over video rental stores and bring it to the movie theathers. For $9.95 a month, MoviePass customers can see up to one movie in participating theaters each and every day. With tickets typically starting at prices higher than $9.95 each, at face value MoviePass looks like a great deal for even just one ticket a month. The real question is, what’s the catch? Can I watch any movie with MoviePass? Are there any blackout dates or a minimum time after release before I can see a movie? Can someone else use my MoviePass card? Can I use it at every theater, even if they have assigned seating? MoviePass offers a few different ways to pay for the service. One of their main selling points is that they don’t require a contract in order to be a subscriber. At OverthrowCable, we’re all about non-contract subscriptions that only make you pay for what you’re using and give MoviePass a nod for this decision. However, if you want to save a little extra money you can prepay a year of MoviePass to get a discounted rate. If you pay on a month-to-month basis, MoviePass will cost you $9.95 a month. You give them your credit card information and as long as you’re a subscriber they’ll charge you at the beginning of each month. If at any point you no longer feel you’re getting your $9.95 worth of value from MoviePass, you can cancel it and you won’t be billed for the following month. If you’ve used MoviePass for a month, or know for sure that you’ll get your values worth for an entire year, you can be billed $84 one time and use your pass all year. 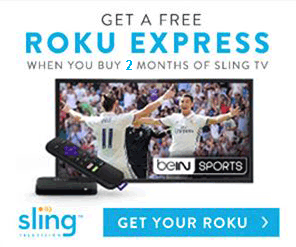 That comes out to $7 a month and an annual savings of $35.40 for the year compared to the monthly price. That’s equivalent to 5 more months of a MoviePass! We recommend starting our a MoviePass “test run” by paying the full $9.95 for one month. Sometimes the theater near you that accepts MoviePass isn’t your usually choice, you might not like the app or logistics of the service, or any other reasons that you’ll only find out when you actually start using it. It’s a lot better to spend an extra $2.95 than pre-pay a full year of a service you don’t fully enjoy! Until August of 2017, MoviePass offered almost the same exact deal as now, but for $50 a month. Even then, MoviePass had loyal customers who frequented the movie theater enough to make it a great deal. According to the National Association of Theater Owners, the average ticket price for the movies in 2017 was $8.84. With the price of MoviePass at $50 a month, you would start saving money if you see 6 or more movies each month. That’s a lot for most people, but it still made the deal fantastic for movie buffs. With the reduced price of $9.95 a month however, you save $7.73 on your second movie for the month and then each movie you see after that is essentially “free”. When a lot of people learn about MoviePass and its price they start to wonder if MoviePass is actually a scam. It doesn’t make sense that a business can charge less than the price of a single movie ticket and then offer what’s essentially 29 free movies with it. The fact that people think it’s such a ridiculously good deal that it could be a scam just goes to show how great of a deal it actually is. As soon as we heard about the reduced price (and the site stopped crashing) we made sure to order passes of our own. Although we don’t get to see a movie every single day, with the average ticket price for a movie in Boston being $14, we’re saving an awful lot on the handful we do get to see. Recently, MoviePass launched an even better deal than saving money starting on your second movie. If you pay for your MoviePass subscription for the entire year, you get a deal that makes the monthly price only $7. Why start saving money on your second movie when you can save money on the first movie each month? Visit the MoviePass website and sign up for a new account. It asks you for information including your address, name, and payment information. 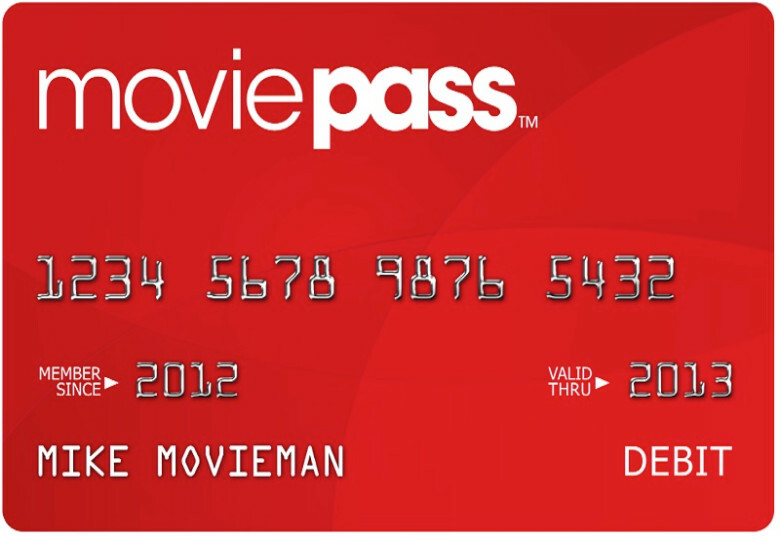 When you finish signing up for MoviePass, they’ll send you your card in the mail. The card is basically a debit card for movie tickets. After you get the card you’ll need to download the MoviePass app on your smartphone. You can find the app on Google Play for android phones or the Apple Store for iOS devices. You can log in to the app and select a theater to see that day’s listings of movies. The app doesn’t allow you to view movies for future dates, so if you’re looking to plan ahead you have to visit the theater’s webpage to see the listings for that day. Once you settle on a movie at the theater of your choice you can check in. 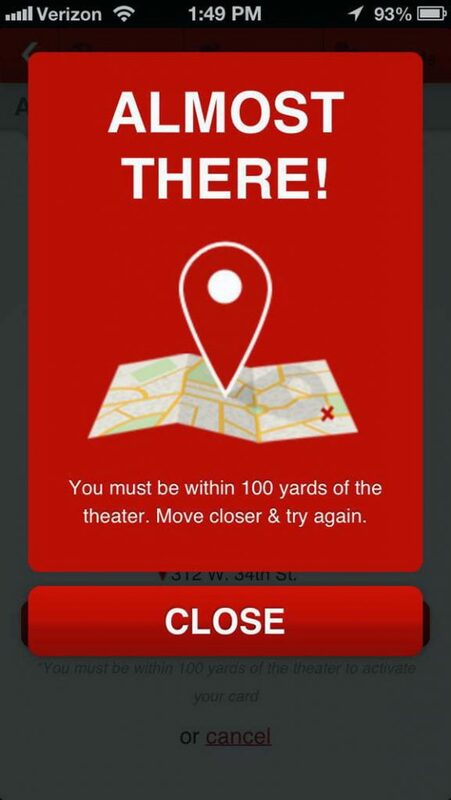 Please note that MoviePass will not allow you to check into a movie until you are within 100 yards of the theater. They use this system to prevent exploitation of the service by stopping you from sharing your account with others. Although we can’t officially recommend it, one way to bypass this feature is to get a location spoofer for your mobile phone. Spoofing the location of your phone will save you a trip to the theater to check in before a movie. If you’re not worried about a show selling out or live close enough to a theater, you can always just physically go to the theater and check in as the app intended. After you’ve settled on your movie and click on the “check in” button, the app will tell you that the funds for the movie have been transferred to your MoviePass card. Sometimes you’ll be asked to confirm the last four digits of your card to authenticate the purchase before it’s accepted. Now that your MoviePass card has the funds on it for a movie, you can go purchase your ticket from the theater using your MoviePass card as if it was a typical debit card. All you have to do now is enjoy your movie! We wanted to wait a little while to write up a review on MoviePass so that it would be fair. When the company announced its reduced price, it was bombarded with subscribers. The site was down for days and the back-log of cards to be sent meant that it was taking much longer than expected to receive one. Now that the hype has died down and stabilized, we felt it was fair to access the service as it currently stands. One thing we’ve come to despise is MoviePass’s app. We thought that the sheer amount of people trying to sign up was clogging the servers and causing the app to malfunction, but we’re slowly learning that that’s just the usual state of the app. I’m pretty sure I still haven’t received my “forgot my password” email that the app claimed to have sent me a month ago. The sad part about it is that when the app does function properly, it’s designed well. We haven’t had any issues actually getting into a movie due to an app malfunction yet, but we’ve definitely pulled out some hair in frustration. For as difficult as it is to deal with the app, the service as a whole is the complete opposite. Once you get to the theater (or location spoof) and “check in” to a movie, it couldn’t be simpler. It’s as easy as using a debit card sometimes feels even easier than that. When we first used the pass I was expecting to encounter a few questions or errors, but to date we’ve had a grand total of zero. If dealing with the app for a minute when I get to the theater is the worst thing I have to deal with, I’d say that the service is fantastic. I’m fairly certain that my friends are tired of hearing me harp on about how great MoviePass is, but now that a few of them have joined, we always have an easy (and cheap!) way to get together. Only standard showings. This means no 3D or Imax movies. You can only watch one movie a day. There are no blackout dates or waiting period before you can see a movie. If you want to see the newest Star Wars film on opening night you can. The only way someone could use your MoviePass card is if you gave them your smartphone too. Although doing so is possible, we don’t recommend it and it is against MoviePass’ terms and conditions. MoviePass works at any theater that is on its list. You can see the map of locations on their homepage. Even if the theater has assigned seating, as long as it’s on the list you can use your card.